You have the right to remain silent. But you won’t. Brooklyn Nine-Nine is Universal Television’s (By way of FOX) effort to fill the hole in the sitcom landscape where a cop show parody should be. It’s also the latest vehicle for Saturday Night Live‘s biggest recent success story, Andy Samberg – following the decidedly uneven Cuckoo. Alongside Samberg are Terry Crews (Apparently Will McAvoy’s bodyguard Lonny went off to become a cop, explaining his absence from The Newsroom Season 2) and relative newcomer Stephanie Beatriz. Samberg plays an immature but gifted detective whose “dammit I get results” stylings come into conflict with the “by da book” new Captain’s way of doing things. Despite that seemingly clichéd premise, the show isn’t going for a straight parody of cop show tropes, and instead opts for a more subtle (Yes, subtlety in an Andy Samberg vehicle – if only Cuckoo knew such luxuries) deconstruction, more along the lines of Scrubs. It’s unclear from the pilot if the show will be able to develop the same dramatic chops as Scrubs did with its cast of beloved characters over the years, but there are early signs of deeper thought at least, with Captain Holt given a decent backstory which earns him the sympathy (and, more importantly, the respect) of Samberg’s Jake Peralta. But while the dramatic underpinnings of a sitcom can give it the prestige and enduring appeal to make it a long runner (The Simpsons, Friends, Scrubs, how i met your mother…), any sitcom which isn’t funny will sink like a rock (I’m looking at you, majority of the pilots from Amazon Studios’s first Pilot season). So is Brooklyn Nine-Nine a comedic dud destined to end its run in a graveyard slot and be forgotten about by next Christmas? No, it’s actually pretty funny. Samberg’s smug performance actually manages to be charming because the show makes the wise choice to show us immediately that he’s actually good at what he does, and he is nevertheless more of a smartass than actually condescending. Meanwhile, the absurdity has been kept just about in check. There’s no lengthy fantasy sequences, and all of the hijinks the cast engage in are relatively grounded. It’s all just stupid. And I don’t mean that as a knock. It’s the best kind of stupid. It’s the kind of dumb joking around you get into when you’re hanging around with friends or killing time in an office. Too often, this kind of dumb comedy doesn’t work out so well. Microsoft published a video game example recently in LocoCycle, which just feels like you’re watching someone else’s inside joke. And it’s never explained to you. So it never becomes funny. Brooklyn Nine-Nine invites you to laugh at its characters with the rest of the cast by constantly ensuring there’s someone to laugh with. The cast takes turns playing straight man for each other as the situation demands; mocking or being mocked, laughing along or hiding their shame. It’s relatable because that’s how people are in real life. 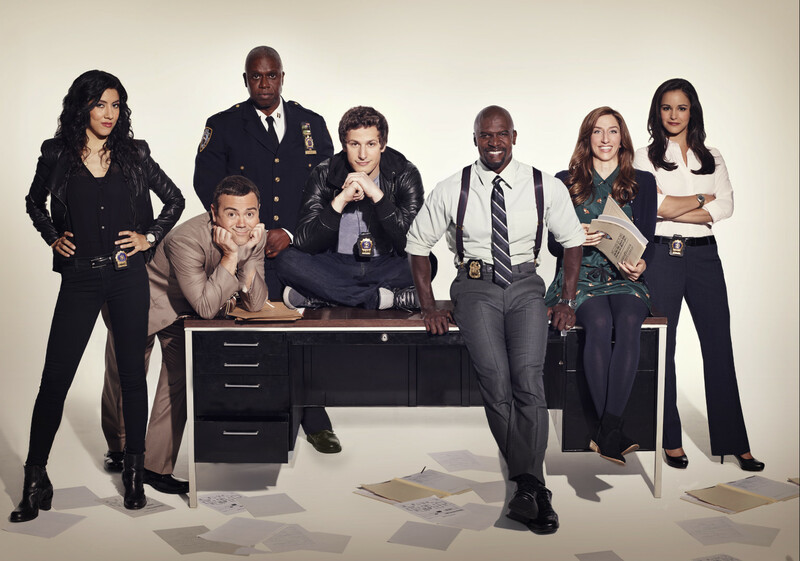 Brooklyn Nine-Nine is part of a movement in sitcom writing to reflect the kind of humour people experience day-to-day. Rather than placing absurd caricatures in front of you and inviting you to laugh mercilessly at their failures (Two And a Half Men), Brooklyn Nine-Nine follows the formula successfully deployed by how i met your mother of allowing its characters to know exactly how funny the things that are happening are. And it mines that area mercilessly for extra yucks as Samberg or another cast member manages to deliver that extra quip at the end of the scene that perfectly encapsulates the audience’s feelings. Oh and by the way, I think you’re overdoing it on the man-scaping. and come back to read extra of your useful information. and there was a car that rushing more but i acquired pulled over.